All you need to bring is a swimsuit, a towel, sunscreen, and a smile. Underneath Fuerteventura’s beautiful blue waters, an entire underwater world flourishes. With so much nature and excellent water conditions, scuba diving in this Canary Island gem gives you a new kind of discovery. If you want to try out scuba diving instead of getting a full certification, this one day course provides you with the basics and a chance to explore the spectacular island wildlife for yourself. Starting at the dive school in Caleta De Fuste, your introduction to scuba begins with a 30 minutes lesson on theory and techniques. Your expert dive guide teaches you the safety fundamentals, how to navigate in the water carefully, and all about the diving equipment. Next, you head to the pool for the real practice. 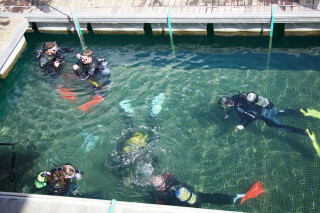 The "pool" is actually a big enclosed area of the ocean at the dive center. 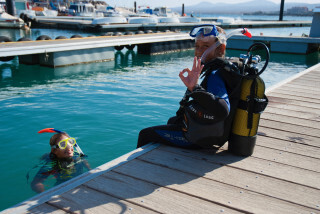 With all the equipment provided, your instructor guides you through breathing underwater, utilizing the equipment and the necessary hand signals. When you’re comfortable with your new skills, the real fun begins. Jump into the clear waters and take your first breaths in the sea. Descend with your guide and discover diverse wildlife. 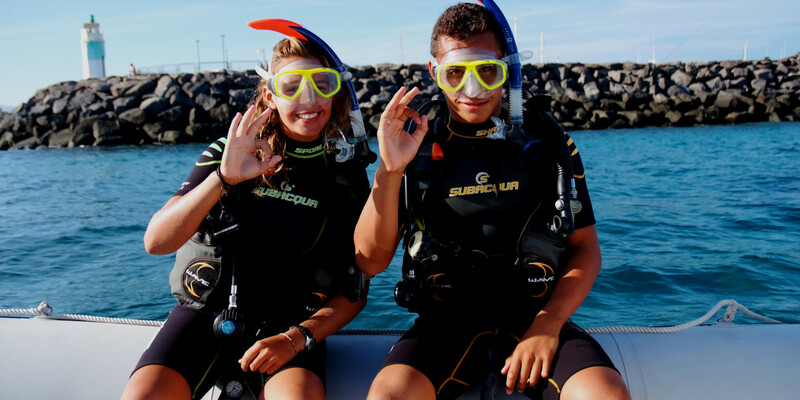 The waters of the Canary Island's are perfect for new divers. 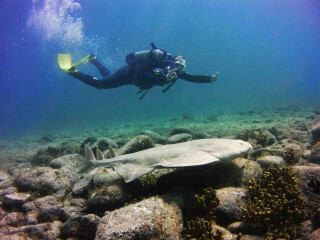 The water temperature rarely drops below 17-18° C (63-64° F) and the visibility can be up to 30 m (100 ft). The entire island is a UNESCO biosphere reserve, a label given to ecosystems of significant biodiversity in order to promote sustainable research and preservation of its resources. You may pass moray eels, crabs, sea urchins, or even parrotfish, which heavily populate the waters. In no time you may forget you’re breathing through a tank as you marvel at the marine life swimming through the volcanic rocks on the sea floor. As you swim, your instructor snaps photos of you in action which you receive for free after the course. If swimming and snorkeling with the fish aren’t enough for you, fully surround yourself with thriving marine life in the Fuerteventura seas. Scuba diving opens your eyes to a new kind of nature adventure.